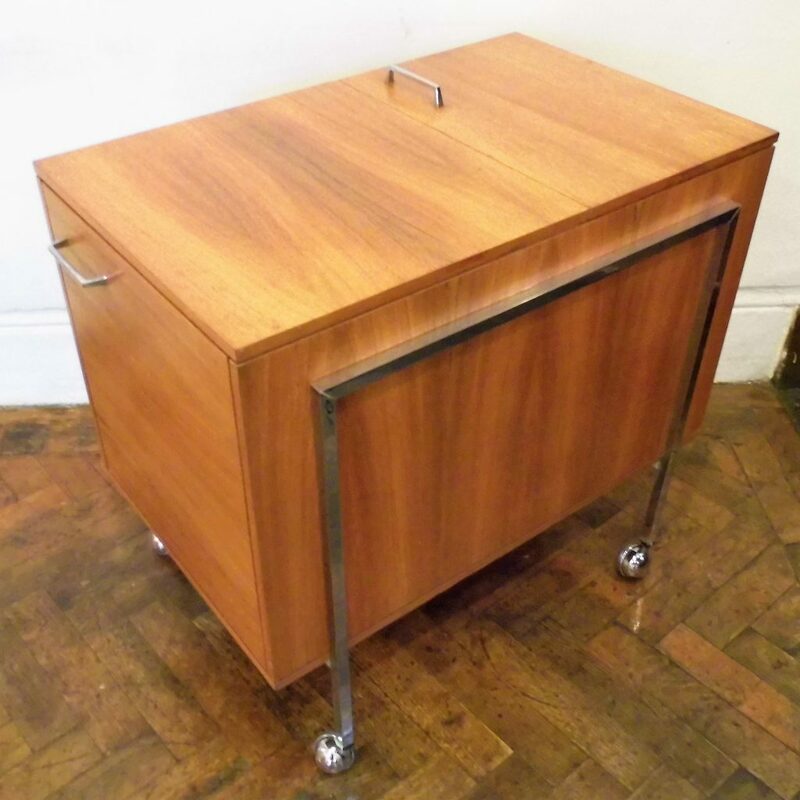 A fantastic quality and very stylish Mid Century Bar Cart circa 1960. 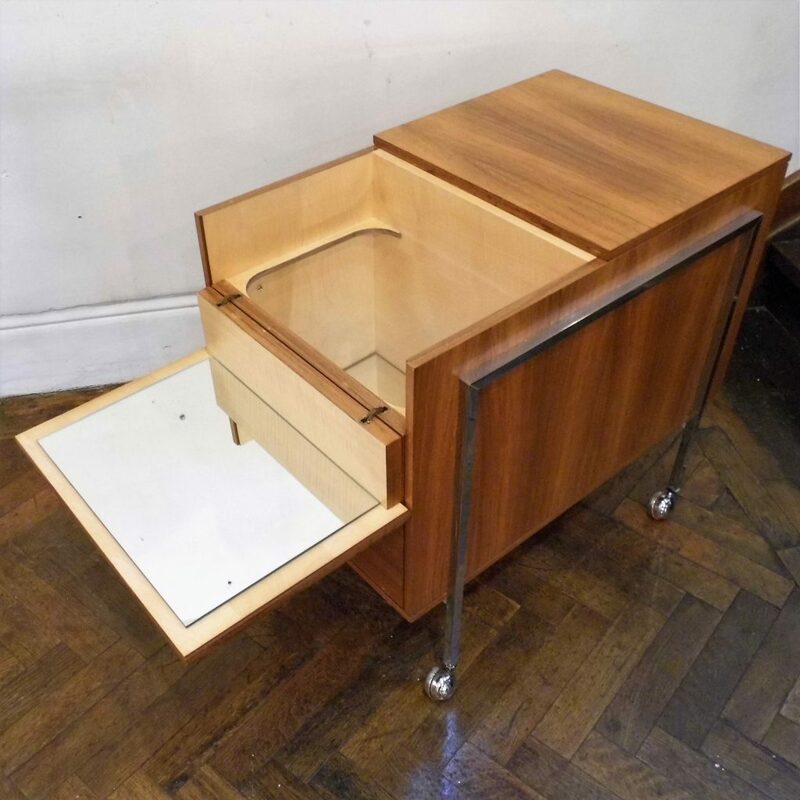 This walnut and chrome bar has a large slide out drawer with spaces for bottles all beautifully lined with sycamore veneer. 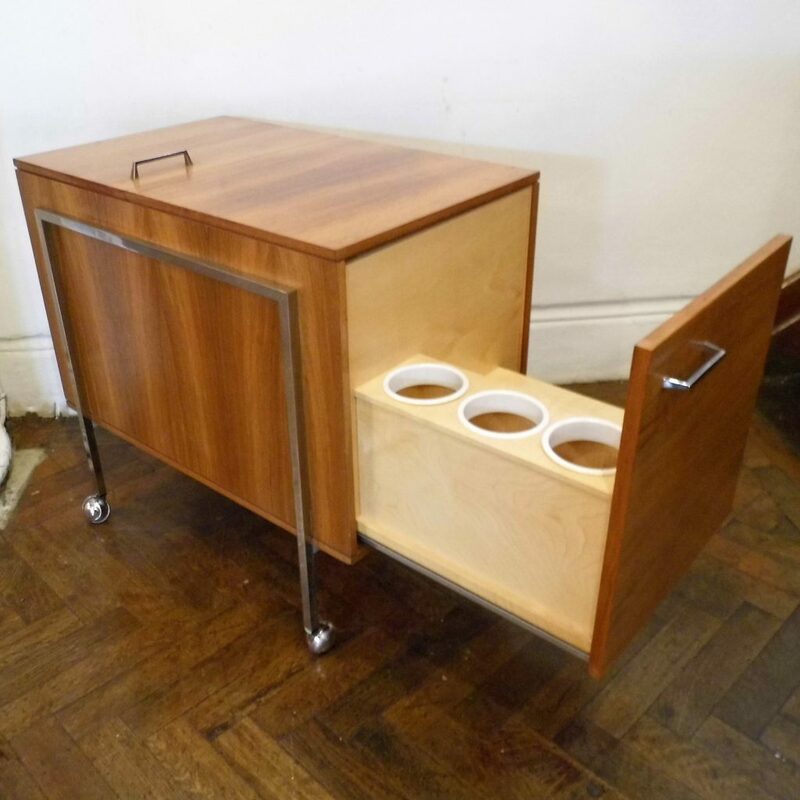 On the other end a door opens to reveal a mirrored compartment again lined with sycamore.